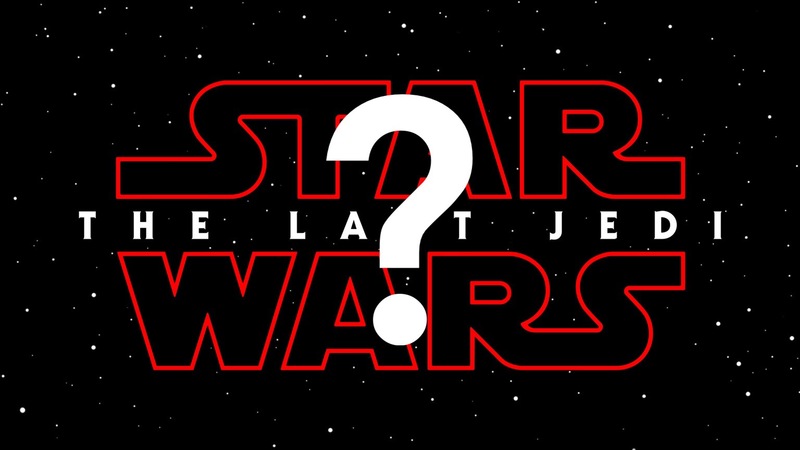 This week the title of Episode VIII was announced: The Last Jedi. The title which launched a thousand thought pieces (only half what The Force Awakens launched), much debate swirled around whether the “Jedi” was plural or singular, did it refer to Luke Skywalker and Rey, Rey, or just Luke? And what the heck was up with the red font coloring? In the end, it doesn’t matter that much, as the answer will become plainly obvious in just under eleven months, when the film debuts on December 15th, 2017. But the title does refer to the Jedi Order in the era of the sequel trilogy, and we can ask ourselves, what of the future of the Jedi? In both the present Expanded Universe and in the old Legends universe, Skywalker set out after Return of the Jedi to rebuild the Jedi Order. After all, Yoda on his deathbed pronounced that Luke was the last of the Jedi, the last in a line traced back over thousands and thousands of years. It’s a bit of a legacy, and a pronouncement that everyone had to take with a grain of salt, especially now that we know so much more about the Jedi Order prior to its destruction by the Emperor and his Order 66. In short, it’s safe to say that Luke Skywalker got the abbreviated form of training to be considered a Jedi. In the old EU, as well in the present, Skywalker recognized this and sought to fill in those massive, massive knowledge gaps concerning the Jedi Order. In Marvel Comics’ current stories, Luke discovers a diary which belonged to Obi-Wan Kenobi and in novel form, Luke seeks out Jedi temples for information, such as lightsaber training, well before he’s instructed to go to the Dagobah System. In the post-Return of the Jedi novels written by Chuck Wendig, Luke continues these efforts, albeit very much off screen. By the time period of Claudia Gray’s Bloodline, set approximately ten years before The Force Awakens, Senator Leia Organa’s brother has his new temple up and running with plenty of recruits. Then, as we all know, one of his students, his nephew, attacked with the Knights of Ren and wipes it all out. Luke’s departure is notable because he departs the stage in the same way the Jedi vanished after Order 66. In that case, though, the Jedi fled to survive. 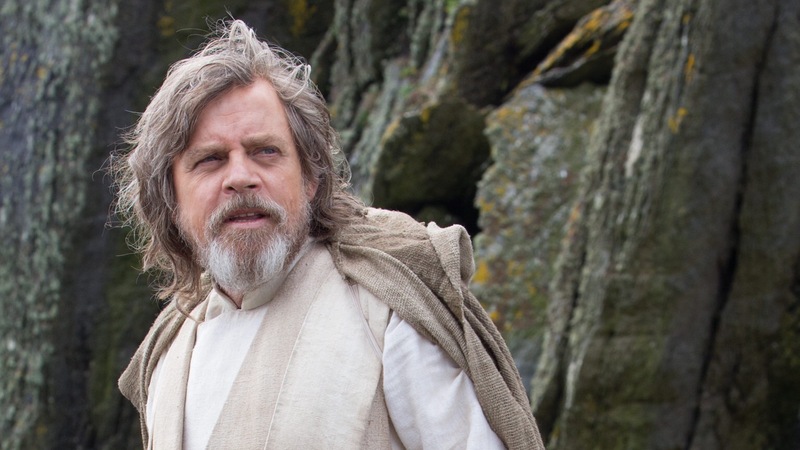 For Luke, the cause for his absence is implied to be a journey to learn even more about the Jedi Order, to essentially figure out what he did wrong. His absence also implies a belief that the Jedi should exist outside of politics, or at least, the politics of the New Republic and the First Order at that moment. The Jedi Order fell, in part, because it allowed itself to be caught up in the politics and fighting of the Clone Wars, and a benign interpretation of Luke’s flight would be his desire to avoid any further entanglements as the last of the Jedi. Undoubtedly, he possessed a desire to preserve the Jedi legacy, and it calls into question, what will be that legacy from the storytelling narrative perspective in the Star Wars universe. Much weight is given to the idea of balance of the Force, an idea introduced by George Lucas with the advent of the prequel trilogy. The Phantom Menace gave us the idea of Sith, the mantra that there must always be two, and the prophecy of the “Chosen One” who would bring balance to the Force. 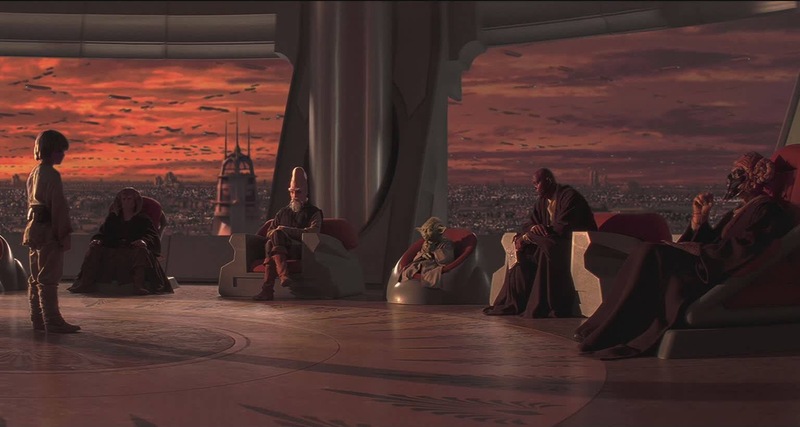 What that balance represented was never really made clear in the films, and the possibility that Anakin Skywalker was that Chosen One was not initially a good enough reason even for the Jedi Council to permit his training as a Jedi under Qui-Gon Jinn. The theory of balance was picked up in The Clone Wars, notably in the Mortis story arc, in which Anakin, Obi-Wan, and Ahsoka Tano, are drawn into a pocket universe where the Force exists materially as a world with three inhabitants. Among the inhabitants was a figure who stood for balance, a father figure who oversaw the actions of his two children, his son who represented the Dark Side of the Force and his daughter, who represented the Light Side. The gist of the storyline was an appeal by the father for Anakin to replace him, to remain in this special world to keep the two children in check – as specifically, if his son was allowed to dominate, it would brain suffering and misery to the universe. Anakin Skywalker turns him down, and as the three episode arc implies, chose the lives of those he loved over this cosmic duty. At the same time, he doomed the universe to misery with the ultimate fate of becoming an agent of it, Darth Vader. As the dark Lord of the Sith, Anakin eventually was saved by his son, Luke, and in the process, killed the Emperor. Most, if not all, see this as the final act of restoring balance to the universe. In some cases, wrongly perceiving it as the restoration of some form of numerical parity between the Sith and the Jedi. But, this isn’t true, and we know that from the lips of Maz Kanata, and also, the Force doesn’t have a galactic abacus somewhere keeping track of every Sith and Jedi for balancing purposes, either. In The Force Awakens, Maz tells Rey in the dungeons below her castle that the issue of balance has always been a part of the universe and the Force, noting how the Dark Side returns in various forms, be it the Galactic Empire or the First Order. In the era of Kylo Ren, there are no Sith, so we know that the struggle between Dark Side and Light Side have nothing to do with membership in formal Force based organizations. This bodes well for the Jedi. If the numbers of the Sith and the Jedi are not part of the cosmic balancing sheet, then it devolves into something more abstract, those who act in support of the attributes of the Dark Side, misery and suffering, or those who act in support of the Light Side, well being and happiness. In short, the Sith and the Jedi are just the names of those who participated in this game of balance in their respective times. The lack of Sith in the era of the First Order does not mean the Jedi are doomed to extinction as well. 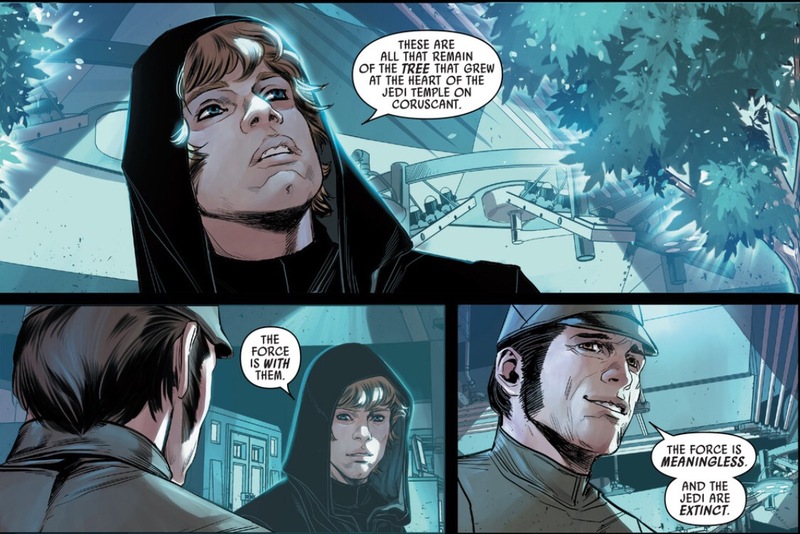 The “Last of” does imply a transition and change, though, and given that Luke Skywalker has metaphorically sought out the head water of the Jedi Order on Ach-to, it could be that what the Jedi originally stood for or believed may change. The philosophy which guided them will make Skywalker the last of that type of Jedi, and perhaps, Rey the first of a new kind of lightsaber wielding heroes. Or, as some have pointed out, Last of the Jedi is simply taken from the crawl of The Force Awakens. All right, we all know that it’s not that simple. Luke Skywalker is, when Rey meets him, the last of the Jedi. But what that means is open to interpretation, one which will be made crystal clear in just under a year’s time. What it won’t likely mean is an end of those who would call themselves Jedi. The Jedi have played a critical role in the mythos of Star Wars since the very beginning, when Obi-Wan Kenobi handed Luke Skywalker a lightsaber with a shimmering blue blade. That weapon, now in the hand of Rey, represents a continuation of the idea of the Jedi that will continue on through The Last Jedi and beyond Episode IX. We may call Skywalker the last Jedi, but he’s not the last Jedi. The power of Star Wars is a saving power!